Concert Sponsor - "Alex Sutarek Foundation"
Ania Soroktei was born in Lviv, Ukraine in 1972. At the age of seven, she was selected to attend the Lviv Special Music School for Gifted Children. There she studied under the renowned music teacher, Olexandra Ambartzumian. At the age of eighteen, she graduated first in her class with a special award as "the most promising young pianist." Ms. Soroktei debuted as a soloist with the Lviv Philharmonic Orchestra when she was nine. At the age of twelve, she performed Mozart's Piano Concerto No. 23 with her father, Maestro Volodymyr Shesiuk, as conductor of the orchestra. During her youth, she traveled extensively with her father and was an integral part of his activities as a conductor.  In 1990 Ms. Sorotkei was accepted to attend the Lviv State Conservatory as the student with the highest rating. She studied there under Professors Maria Krykh and Etella Chupryk and Assistant Professor Olexander Kozarenko. In 1996 she completed her studies at the Conservatory. She subsequently taught piano at the Lviv Special Music School. During Ms. Soroktei's studies at the music school and Conservatory, she performed regular recitals in many different concert halls in several cities. Several conductors also invited her to perform with their symphony orchestras. During this time she performed many concertos, including Mozart's Nos. 23 and 24, Haydn's Concerto in D, Grieg's Concerto in A Minor, J.S. Bach's Concerto in D Minor, Frank's Variations Symphoniques, Prokoviev's Concerto No. 1 in D Flat, Beethoven's Concerto No. 3 in G, and Brahms' Concertos No. 1 in D Minor and No. 2 in B Flat. She also took special interest in chamber ensemble performances. Political conditions Caused Ania's father to emigrate with his wife and their younger daughter to the United States in 1991. Ms. Soroktei rejoined her family in 1997. She soon received an invitation to perform a recital at Madonna University through the efforts of the University President, Sister Mary Francilene Van de Vyver, CSSF. The Board of Directors of the Livonia Symphony Orchestra also invited her to perform as soloist with the orchestra under her father's baton in Brahms' Concerto No. 2. She subsequently performed with the orchestra in Saint-Saens' The Carnival of the Animals as co-soloist with Virginia Vekstrom, teacher at the University of Michigan Music School. Ms. Soroktei has recently recorded a CD in the United States with Olexandra Hrabova, soprano. Ms. Soroktei''s performance of the Brahms' Concerto No. 2 so impressed Wayne State University Professor Pauline Martin, that she proposed Ms. Soroktei continue her studies under her direction. Ms. Soroktei is now actively engaged in studying under Professor Martin. Ania Soroktei is proud to be a member of the generation of young people rebuilding a new, independent, Ukrainian nation. She expects eventually to continue her artistic work in her native Ukraine and to be one of the driving forces in the cultural future of her native land.